The process of dementia makes the experience of day-to-day living an acute challenge. This could be mediated with educated and timely inputs and the caring contract negotiated to preserve both dignity and quality of life. 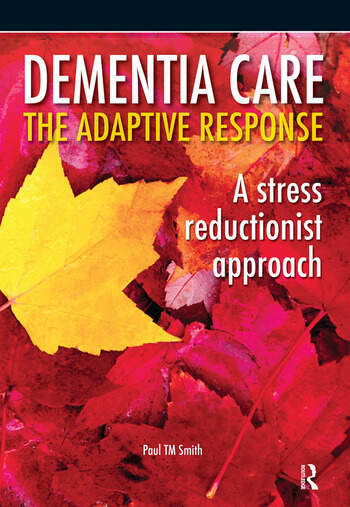 The premise of the adaptive response model is that armed with the knowledge of human systems and their ability to adapt and adjust and with a firm application and emphasis on person-centred approaches to dementia care then the experience can be enhanced and living with one of the dementias can be made less traumatic. This holistic approach proposes a method of using environmental and social psychology to maximise function in the individual and to minimise the negative and destructive elements of the perceived and real environment.